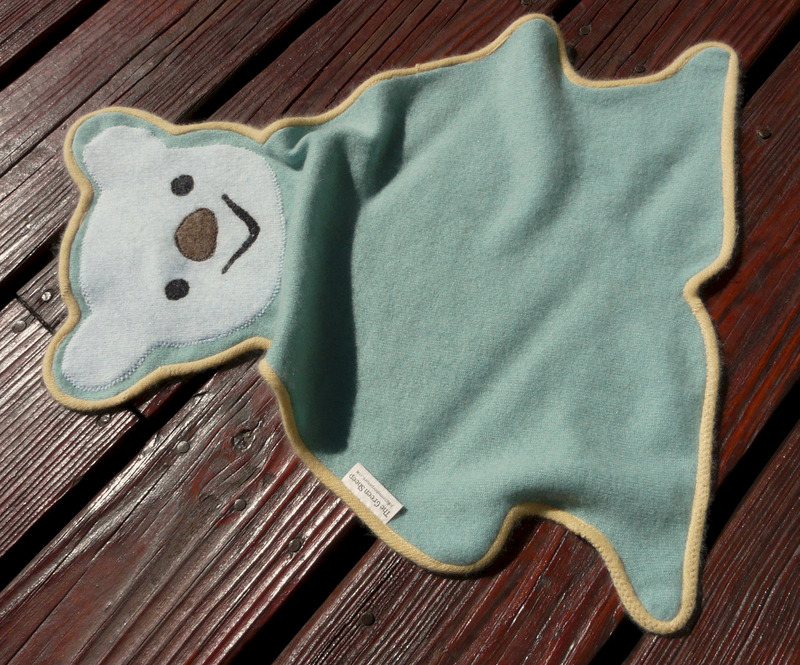 This baby bear is made from felted cashmere sweaters, green for his body, pale yellow for his trim. I only wish I could introduce him to you in person; you have to feel this wool to believe how incredibly soft it is. 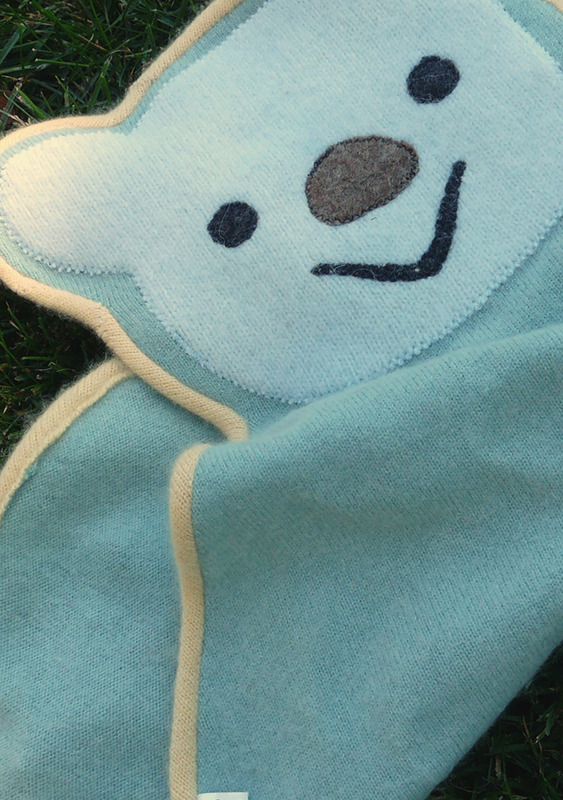 Do you know a little boy who would like such a comforting friend? These make me wish I were a baby. So soft!